PaintBall.com - Quality Goggles for Under $20? Quality Goggles for Under $20? 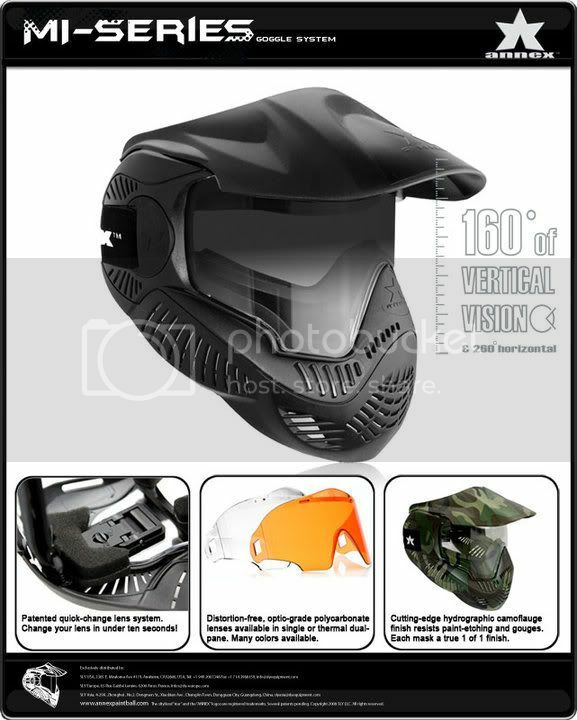 http://www.annexpaintball.com/masque-annex-black-thermal-p-688.htmlAnnex Paintball has released specs on a brand new goggle system that not only offers competitive levels of quality and features, but also carries a price tag until $20.00. This relatively unknown company gained an online reputation when images and price points of the goggle, called the Masque, showed up online. - Hydrographic finish that resists paint-etching and gouges.